The 36 bedded level III Neonatal Intensive Care Unit at Sooriya Hospital is one of the most prestigious referral NICUs in Chennai. 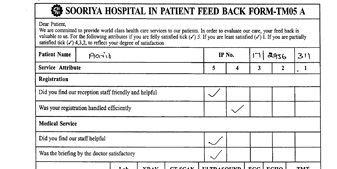 We have referrals from over 150 nursing homes / hospitals in all parts of Chennai and Andra Pradesh. Our mobile NICU (ambulance fully equipped for level III Neonatal care with incubator, Monitor, Ventilator etc., and a senior pediatrician during transport) is very popular in the city and is ready 24 hours, 7 days for safe transport of critically ill neonates from various hospitals. The Department is headed by Dr.Deepa Hariharan, renouned neonatologist, who has done an enormous amount of work in neonatology in Chennai. Ateam of six junior consultants including Dr.Rajsree and Dr.Vijaykumar who are well trained in neonatology, provide 24 hours in-house coverage. The unit is equipped State-of –the Art incubators, monitors, ventilators, high frequency oxillator, CPAP apparatus in adequate numbers. 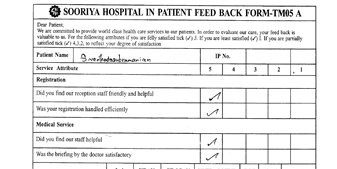 Floor spacing, lighting, safty precautions etc are designed as per standard recommendations for quality care and infection control. 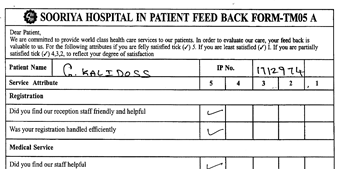 Asepsis is the central feature of our NICU, responsible for the excellent outcomes. Ongoing training in consultation with leading infectious disease experts, microbiologic surveillance and audit have kept the rate of nosocomial sepsis amongst the lowest in the nation. An optimal nurse-patient ratio is always maintained. Utmost importance is paid to counseling parents about the nature of treatment, long term prognosis etc. This helps families deal with the psychologic stem of NICU admission and helps them make informed decisions. Facilities for mothers to stay and express breast milk help baby-friendly approach.